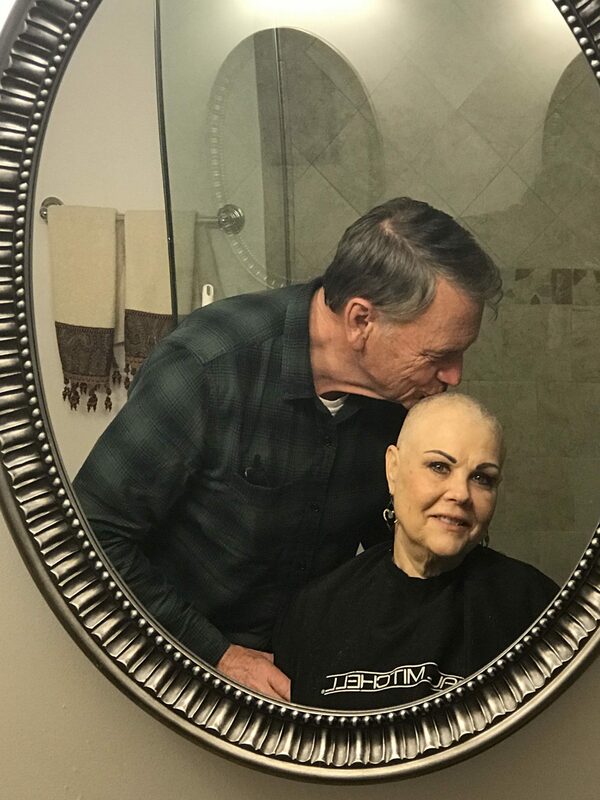 I’m alway’s asked about my decision to shave my head during my cancer treatment more times than I can remember. It was a very difficult and private decision. I didn’t believe I was going to lose my hair. I, like everyone else, thought I would be the different one. My hair started falling out after my 4th chemo treatment. It was a shock the first time I ran my fingers through my hair and a hand full of hair fell into the palm of my hand. Luckily, I took Dr. Cheng’s advice and ordered my wig before I lost any hair and matched it to my cut and color. No one knew the difference, that was important to me. When I was first diagnosed with breast cancer, I didn’t want everyone to know. I shared my diagnosis with a few close friends and my family and some were not very supportive. I made the decision not to tell any more people until I was done with treatment or in a place in treatment that I felt safe and confident. I work in the beauty industry and appearance is very important. I did not want to lose work. One morning I was doing my hair and when I looked down my sink was filled with hair. I had enough! I called my hair stylist and asked if she was willing to make a house call, it was important to me to shave my head at home in my own bathroom. She said YES and came over after dinner. I invited my friend Liz to come too as moral support. At this point, I accepted that I was going to be bald and it was just the next step in this journey. It was better than crying in my bathroom with hand fulls of hair. When I put my wig on for the first time, I was relieved. I felt like myself again and didn’t have to worry about my hair coming out anymore. I took back control. I now have a better appreciation of people who are bald, though. I didn’t know how cold your head gets even when you’re sleeping. I bought a skullcap to wear to bed and around the house that was cotton and bamboo fiber. It helped when I was doing things around the house. I could not wear my wig while cooking or it could melt, we have a gas stove. My beauty tip during that time was using castor oil on my head because it promotes hair growth.